Just four more months, and I’ll be 60. As I grow older chronologically, so do all of you, my subscribers and YouTube viewers. I’ve started to receive messages from women over 50, who feel defeated by age. They say, ok Tonya, even with a good diet and with the best skincare products we cannot halt aging. It seems age is winning no matter what. I’ve decided to record this video to respond to these comments. Click on the image to watch the video. 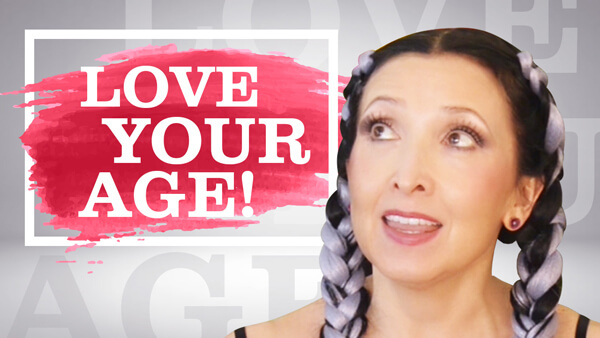 People ask me: Tonya, why don’t you do the facial exercise videos yourself? People tend to look rather unattractive doing facial exercises. I don’t even do these exercises in front of my husband. Privacy’s the thing, here. You’ve got to be focused on your own tiny facial muscles, undistracted by anyone’s reactions. Another reason...There are tons of facial exercise videos on YouTube. Women and men of all ages and personalities are giving endless explanations, doing some demonstrations. I found it impossible to follow them. So I decided to invest my own time, energy, and resources in creating my Esmeralda series. What is the best treatment for lip lines? I get this question all the time. No doubt about it, vertical lip lines—“smoker’s lips,” as they’re often called—do age us. Those lip lines are just plain unattractive. Too many women resort to fillers and injections. But you don’t have to. These exercises will tighten the muscles around your mouth, reduce the lip lines and plump your lips. 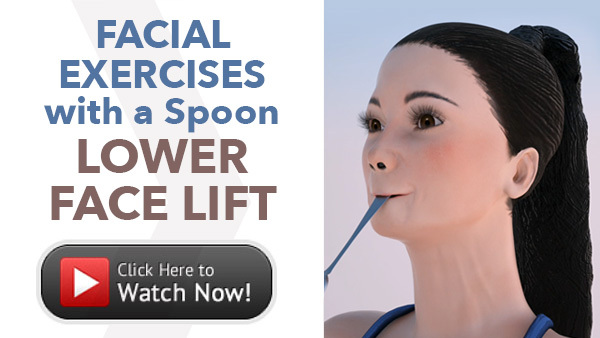 These facial exercises with a spoon are unique. They will not only firm and lift your lower face, but they'll prevent bone loss in the upper and lower jaw. And they can reverse the "sunken-mouth" look, a sign of old age. Double chin has two causes. One results from fatty deposits which appear from being overweight. It can be eliminated only by improving your diet and thereby losing excess fat. Raw foods can help. The double chin caused by tired, sagging muscles can be helped by exercise. 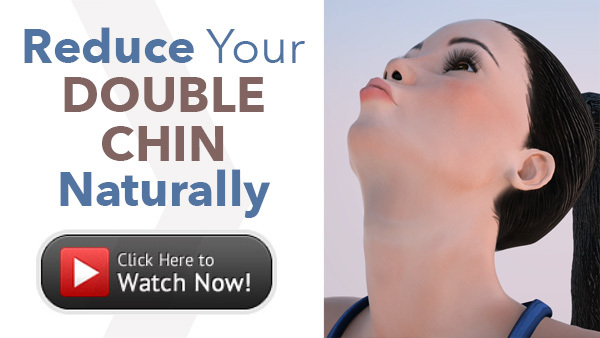 These exercises will decrease a double chin and eventually eliminate it. An all-natural way to relieve droopy eyelids is through facial exercise. Your eyelids are part of a muscle ring around the eye. 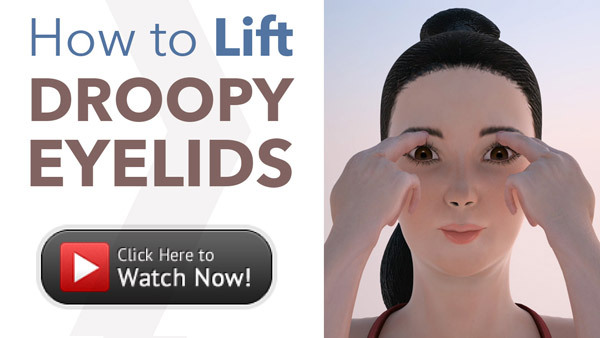 There are a few exercises for droopy eyelids that can tone your eyelid muscles. Every face is different. So are our individual facial problems. 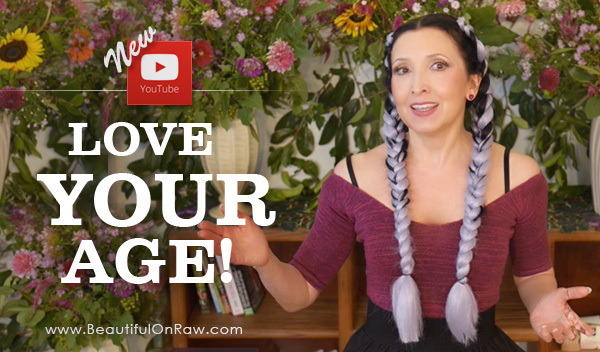 By choosing from these videos you’ll be able to create a personal routine that fits you exactly. Every video features a set of three exercises, specific to one specific problem area. Since Esmeralda started to help me with my facial exercises, I’ve become more disciplined…far less likely to skip a day. In fact, I look forward to seeing Esmeralda every morning. Give her a chance and she’ll help you, too! Next week she’ll introduce the Neck Lift Exercises. Stay tuned. What is the correct sleeping position?